Seventh victory this season, fifth straight in the World RX series and third straight win in front of the massive crowd in French Lohéac. Ruling world champion Johan Kristoffersson continues in a class of his own. The PSRX Volkswagen Sweden star started the final from the second row but still fought his way to the top of the podium. 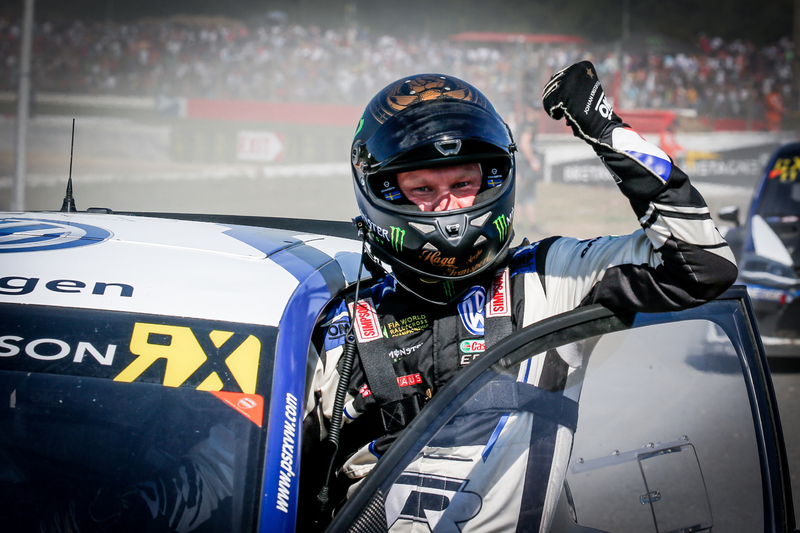 Johan Kristoffersson was beyond delighted after yet another fantastic race weekend, this time in front of 80.000 spectators in Bretagne. 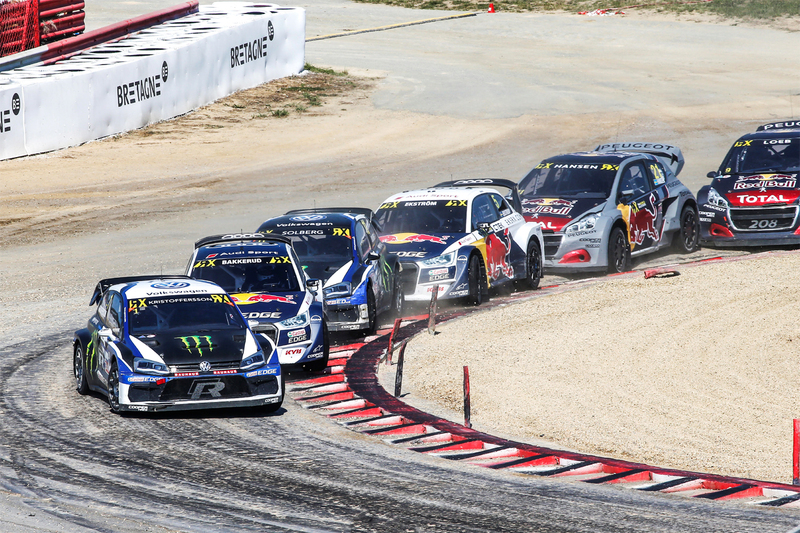 The Swedish rallycross ace were in control all weekend and won Saturday’s qualifying heat. In the second, he had a rough start but still managed to win his race and set a second quickest time overall in the heat. Sunday continued in the same way. Kristoffersson won an intense battle with Mattias Ekström in Q3 and beat Liam Doran in the fourth heat and with that he scored 16 championship points. From pole position in the semi-final, he saw Ekström fly into the lead. Johan, who drove on used tyres, kept his position and secured second row in the final and another five points for the championship. ”The semi-final was okay, but my launch in the start was not superb” commented Johan. He came to the final with four new tyres on this Volkswagen Polo R Supercar. From fifth position, Johan put pressure on the drivers in front of him and waited for them to take the joker lap. On the last lap, leading Andreas Bakkerud, Mattias Ekström in second and Timmy Hansen in third went for the joker lap, which in the current conditions took another extra second. With his dad Tommy’s coaching from the spotter tower, Kristoffersson junior managed to squeeze in right in front of Bakkerud with Petter just behind. The two VW Polo R drivers had gone from fourth and fifth place to the podium in a few seconds. ”Amazing! I really want to thank my team and Petter. There were moments when I thought that this wouldn’t be possible and that makes the victory even more special” said Johan. This win also means that Johan beats his own record of victories from last year. Seven wins in one season and a new record – but the job is not done yet. There are four World RX rounds to go, the next one is in Latvia in two weeks. Until then, the ruling world champion has a 59 points’ lead in the Drivers’ Championship.